Panoptes offers a variety of protective services to both individual and corporate clients who trust us to anticipate, manage and mitigate security threats. All of our services are conducted by highly trained and experienced former Detectives and Royal Marines and can be specifically tailored to our clients needs. 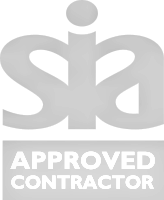 All of our close protection operatives are licensed by the SIA and as former Royal Marines and Police Detectives are highly experienced in anticipating and mitigating potential security threats. We offer such services to VIPs and celebrities, acting as an ‘all-seeing eye’, which enables them to conduct their daily business with the comfort of knowing that we are there to protect them. Panoptes is able to offer low-key, discreet solutions as well as full protective teams depending on the outcome of a risk assessment to ensure that there is a correct balance between discretion and physical deterrent. We are able to offer our clients with bespoke residential security solutions ranging from CCTV monitoring and 24-hour surveillance depending on risk assessment. We are also able to offer VIPs and celebrities with a ‘house-sitting’ service whereby our trained operatives are deployed to our clients’ houses when their properties are deemed vulnerable to attack. We can provide a professional and discreet security service to manage society events and weddings. Our operatives are highly experienced in providing event security and will ensure that any event runs smoothly and more importantly, safely. We are able to provide our clients with a full security detail when attending events such as annual general meetings or sensitive corporate decision announcements. Our operatives are highly trained in counter-surveillance methods to ensure that our clients arrive and depart such events as safely as possible.